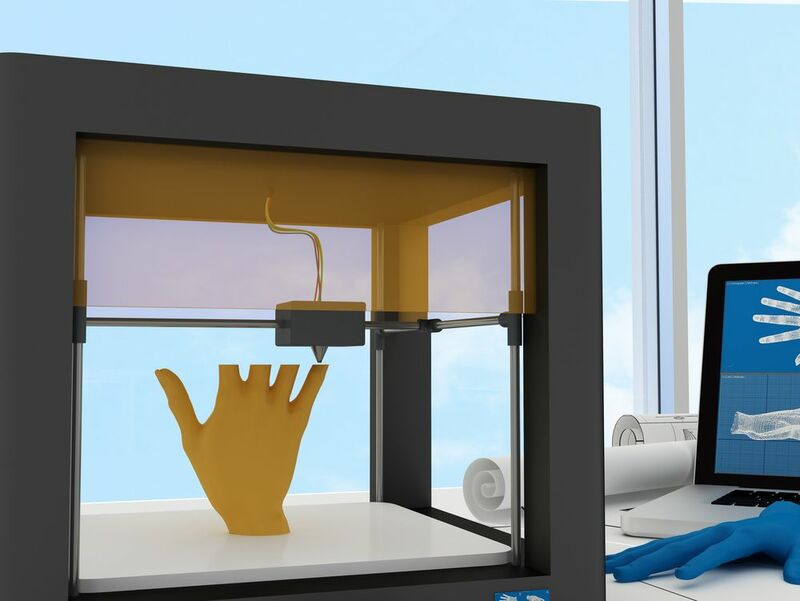 Which 3D printer is best for prototyping? There's no doubt that 3D printing, the process used to create three-dimensional objects from little more than a computer file, has changed the face of hardware manufacturing. On Wednesday French architect and maker of things Guillaume Crédoz gave a hands-on lecture at the UK Lebanon Tech Hub about the most common 3D printing and prototyping methods for startups. "Additive manufacturing [3D printing] now allows for low-cost, low-volume production," Crédoz, now based in Lebanon, told the audience of entrepreneurs. "Everything is faster, cheaper, and more flexible; a single first-batch can now contain several prototypes, allowing the cycle of beta-testing to be much faster." He outlined the three main types of rapid prototyping printers available today, all with slightly different uses: fused deposition modeling (FDM), stereolithography (SLA), and selective laser sintering (SLS). The cheapest and most user-friendly of all three, the FDM 3D printer is a small machine that works by laying down consecutive layers of material at high temperatures, allowing the layers to cool and bond together before the next layer is deposited. Since the material produced is initially hot and gooey, the object produced must be built up from a solid support base such as a plastic tray, a necessity which greatly limits the accuracy of the design. "A lot of manufacturers use this machine for drafting and prototyping, just to give an idea of what the product looks like," said Crédoz. 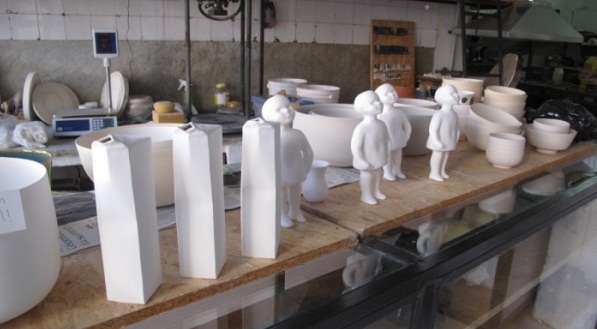 "You can prototype several times to gain experience of the process." 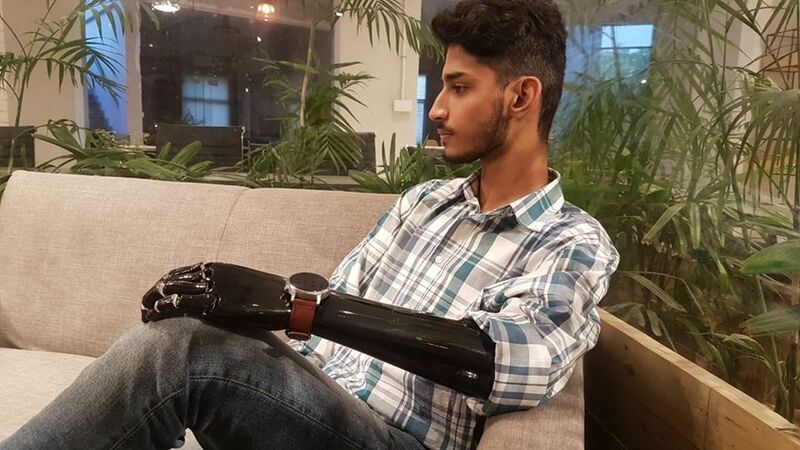 The machine and its materials were also cheap with prices ranging from $200 to $1000 for the machine (thanks to the patent over the technology expiring in 2014), and materials costing only $25 a kilogram. Crédoz and his team have built a large FDM machine called the bigVoxel. They have been successfully using it to manufacture light yet deceptively strong pieces of furniture, a collection they have named Hyperstat (see below). “The joints [of the furniture] are 3D printed, which allows us to make optimized furniture that is very low weight and heavy-duty, suitable for outdoors,” Crédoz told Wamda. They have been on sale in Lebanon for about a year, and making profit too. The cost of every furniture set is between $300 to $900. The most expensive of all three, SLA is perfect for small, precise objects with a very specific exterior finish. "Jewelers in [the] Bourj Hammoud area [of Beirut] and dentists use it to manufacture their products," Crédoz said. SLA printing works by solidifying a liquid material called photopolymer resin, a liquid plastic that is sensitive to UV light. The UV laser solidifies the liquid resin into a computer generated shape. Successive solid layers are created on top of one another with each pass of the laser, creating smooth products that are extremely accurate and of high quality of finish. The prices of this machine start from around $3000 and although the material can be bought by the liter, costs about $100-$150 per liter. SLS is the perfect middle solution between SLA and FDM in terms of quality and accuracy of products. Similar to SLA, the machine works by using a laser to solidify a powdered material, and setting layer after layer on top of one another. Unlike FDM, it does not need a physical base and thus is more technically precise, making it good for end-consumers. 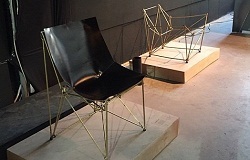 It is also able to use more than 10 materials in this technique, including brass, concrete, glass, draft foam and white plaster. 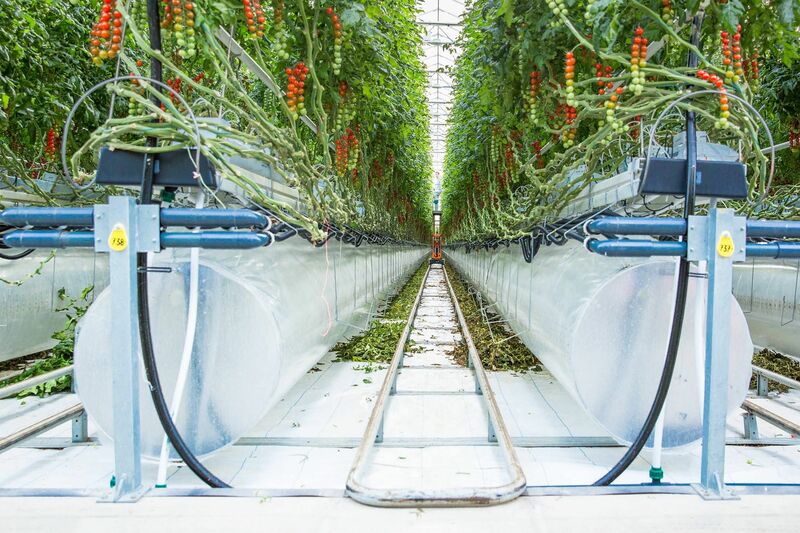 However, there are two main obstacles with this machine: it's not available for individual sale as it’s only available to large corporations, and the cost of hiring its services can be extremely high as the price is based on volume per cubic centimeter. This means that whenever the volume of a product is doubled, the price is multiplied by eight. "We're trying to get the materials cheaper, as we order them in bulk," Crédoz said. The solution for manufacturers in Lebanon? Crédoz believes he’s not exaggerating when he says he might have the solution for Lebanese hardware manufacturers who need 3D printers. 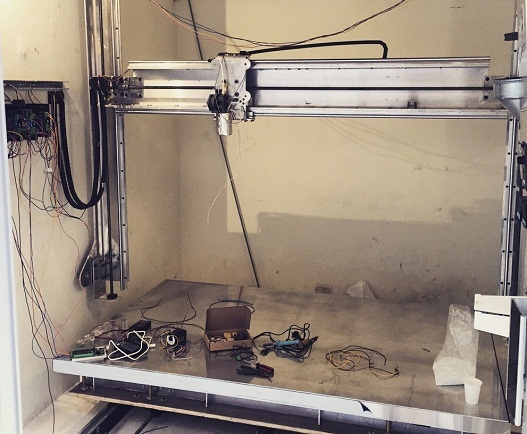 Being the well connected man he is, he was able to obtain an SLS 3D printer in 2012 and, seeing a need in the market, he started his own rapid prototyping services at RapidManufactory, his workplace in Mar Mikhael, Beirut. 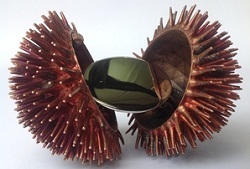 He has helped artists and makers alike design their own products, such as the sea-urchin with a mirror inside as shown in the picture above, and his own eye-catching ceramic and wooden toys.